Family Dollar Stores, a locally based discount chain announced that it will be carrying the Mistic brand e-cigarette in its 8,000 retail locations. In April, Mistic will be introducing a 3-pack of cartridge refills under $10 exclusively at the Family Dollar locations. The 3-pack will be available in both traditional and menthol blends. Furthermore, the Mistic Black soft-tip disposable e-cigarette will also be available this spring at Family Dollar, along with the Mistic 2 Starter Kit, which is rechargeable, providing a battery, USB charger and two cartridges. Mistic is quickly becoming one of the more sought-after brands of electronic cigarettes both at the retailer and consumer levels,” said John Wiesehan Jr., co-founder and CEO at Mistic. “We are continually revolutionizing the e-cig category by introducing innovative products that offer great value and taste, resulting in a truly authentic vaping experience that is attractive to traditional smokers looking for a unique alternative like Mistic. Thoughts: These discount retail stores are looking to expand continuously, and since they’re the underdogs of retail chains, they’ll pull in whatever product that will capture more consumers. 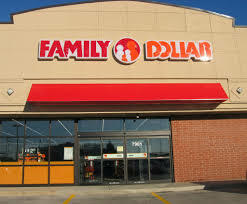 Dollar General, another discount retail chain, recently started carrying alcohol and tobacco products, which isn’t that common for these ‘family’ type discount stores. What would be nice to see is Family Dollar carrying only e-cigarettes and passing up the deadly tobacco cigarettes the world is seemingly coming to hate.